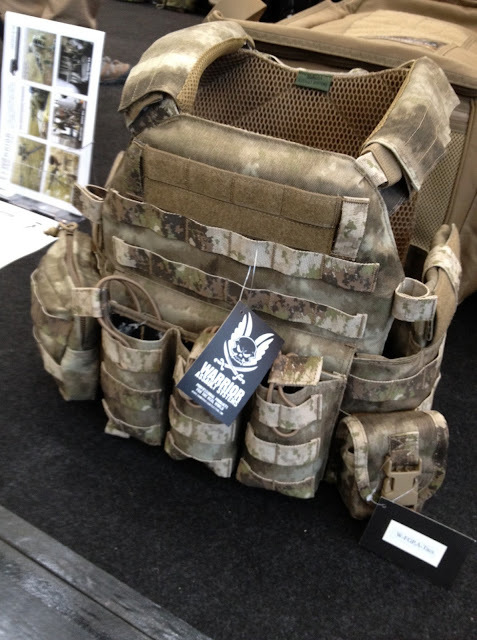 The guys over at A-TACS sent us some shots from the 2012 IWA expo including the one seen below at the display for Warrior Assault Systems based out of the United Kingdom. Interestingly enough this is their DCS Plate Carrier. They have just added A-TACS AU to their existing selection of camo and further extend its expansion in the European market. If you happen to be at IWA and Outdoor Classics, check them out at Booth #7A-409.